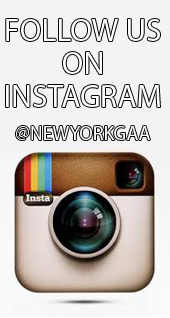 New York GAA will be hosting its annual Brendan Keane Hurling Festival over Memorial weekend. The competition continues to grow each year with teams from New York , North America , Ireland and even further a field . The Hurling Festival will have grades from Senior Hurling right down to Junior B Hurling , as well as Camogie 7's competition and a New York Poc Fada event. The deadline for team registration is May the 1st.